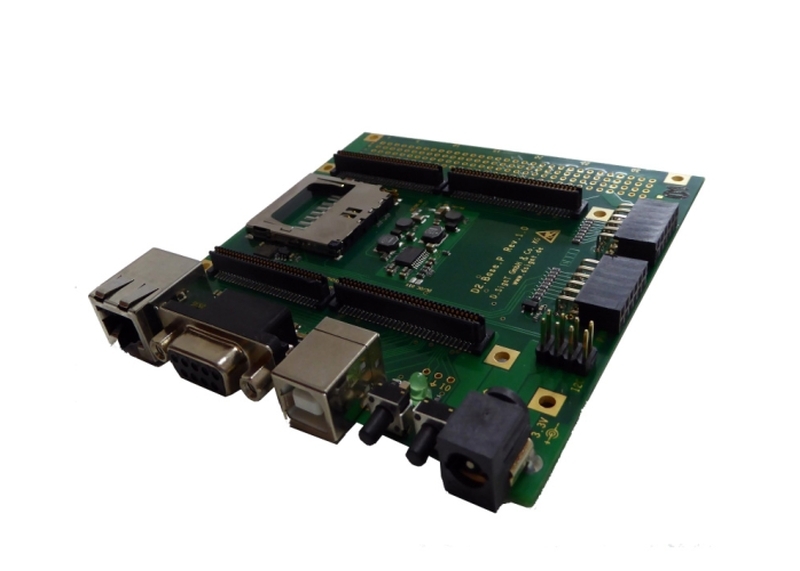 This base board is intended for D.Module2 evaluation and rapid prototyping, and accepts DSP, FPGA, and Analog-I/O board stacks. Pmod™ connectors are used to connect low I/O pin count peripherals to the DSP board. By using Pmod peripherals (available from Digilent, Analog Devices, Maxim, and others), the DSP system is easily expanded with a display, keyboard, WiFi, low sampling rate A/D and D/A converters, etc.